You are here: Home / Food! / Have some vegetables for dinner! Have some vegetables for dinner! 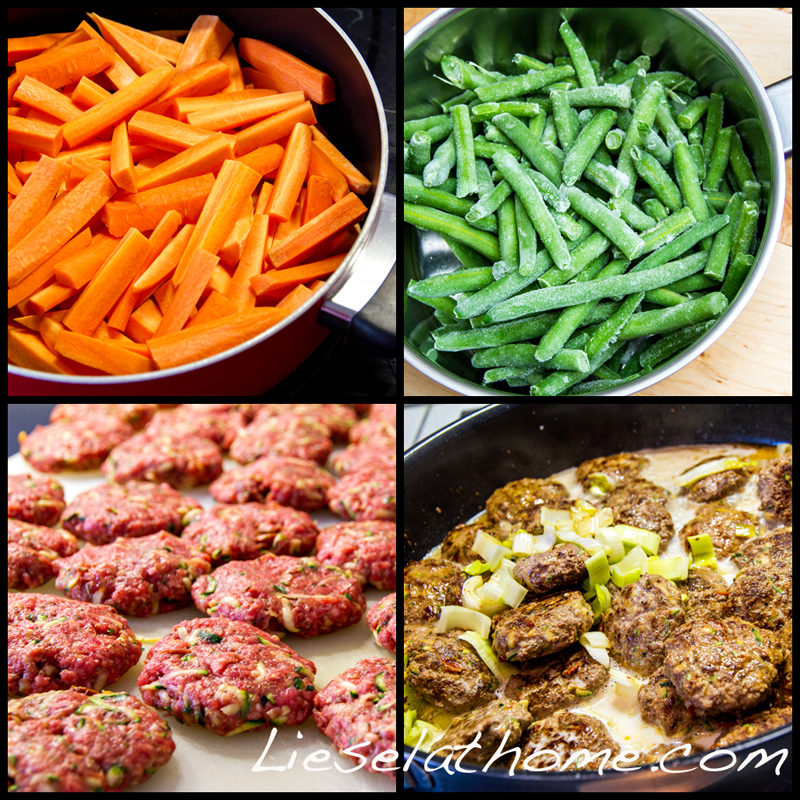 Are you making an effort to serve vegetables to every meal (OK, most meals) you cook? Stop that! Yes, I know, that’s weird advice, but you see, I don’t think you should think about what veg to add to your meal. I think the vegetables should be your meal. Everything else is what you’re adding. Peel carrots and cut them into sticks. Feel free to mix in a few sweet potatoes as well if you want to.. Boil in salted water for 4 or 5 minutes. Drain the water and add some coconut oil or olive oil. Possibly grate some parmesan cheese over them as well (yum!). Stir and spread them out on a baking tray. Bake for 20 minutes on 200 C.
And to this I would serve “Zucchini meatflats”. Think meat balls, but add grated zucchini for perfect moist texture, and make them flat for convenience! The recipe can be found on my blog, under the link above. And I can promise that they are both easy and delish! For variation you can try adding chopped dried tomatoes and fresh basil to the mix. 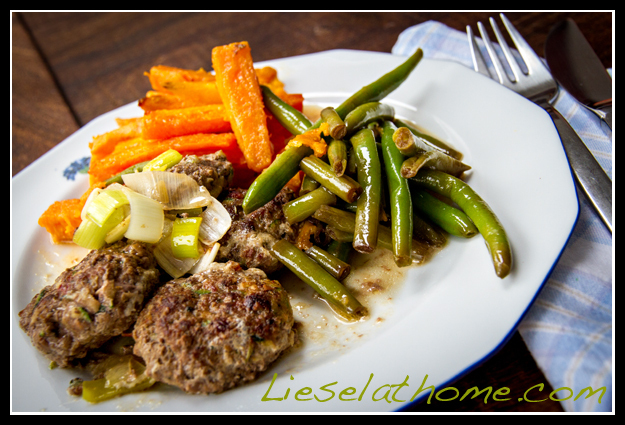 So, there you go – carrots, green beans and zucchini in your meal. With some added meat (that could just as well have been fish, chicken or whatever you prefer) Guten Apetit! as we say in my family!